The number of social video platforms that exist seems to keep growing every year. And hey — we’re not mad about it! As marketers, we’re always looking for new ways to share our content and get our business discovered. However, that doesn’t make it easy for us to choose where to distribute the videos we’ve invested so much time and energy in creating. In this past, YouTube was the holding ground for all things video, including long-form, short-form, informative, entertaining … the list goes on. But as our very own Phil Nottingham put it in his WistiaFest talk from 2017, these days, all social networks are video platforms. With so many options available to us, it’s hard to know what platform(s) make the most sense for our unique businesses. After all, if you’re doing it right, you aren’t just sharing the same video across all of your networks. That means investing even more time into creating unique versions of your content catered to every platform. 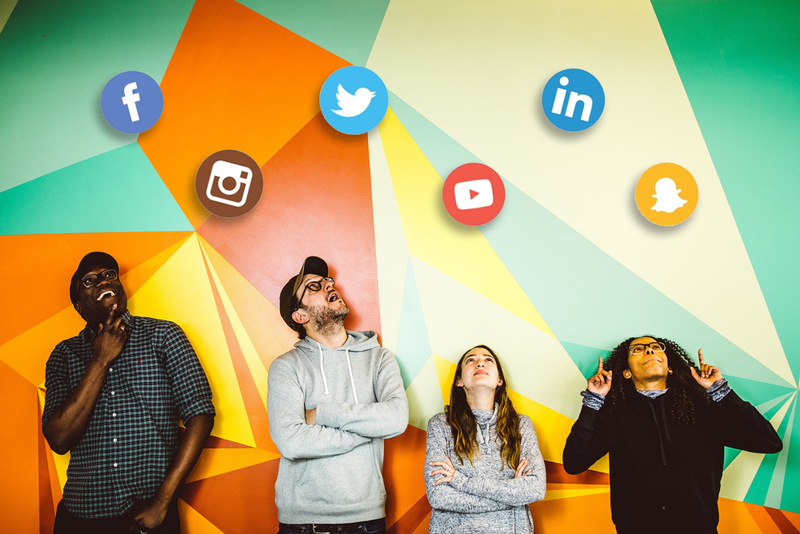 In this post, we’ll look at the social video landscape as it stands today and how factors like your audience, your message, and what you measure can help inform your decisions for distributing your brand’s video content! While YouTube is still super popular, other legacy social networks are now investing heavily in video. Plus, new video networks are popping up all the time, which means everyone can find the perfect place to share their content online. In late 2017, both LinkedIn and Reddit launched native video, and based on its success, Reddit launched in-stream video ads a year later. In 2018, mobile video app TikTok became the most valuable startup in the world. Twitch also had a breakout year in 2018, with its gaming livestreams seeing a 21% increase in viewership (that same year, YouTube game streams were down 12%). In 2019, Twitter released a new camera feature, encouraging filming from within the app. Video production has also gotten much easier in recent years. Whether you’re an individual or a small business, technical whiz or software newbie, anyone can make a video. This process has been brought about through increasingly high-quality smartphone cameras, fast internet connections, and products like Soapbox and free video editing software. Audience: Who are you making these videos for specifically? Where does your audience like to spend their time? Brand: What do you want people to know about you through your videos? What stories are you trying to tell? Engagement: What do you want people to do with your videos? How will you measure success? The answers to these questions will make choosing the best platform for your content much easier! Let’s dig in. There are two types of people on every video platform: Users, who are your potential audience, and creators, who are your peers and competition. Finding your place amongst both will give your content the best chance at success. Instagram Stories: All ages, 68% female, 80% outside U.S.
^ According to Digiday, the Houseparty team has so far been silent on advertising. However, the fine print of its privacy agreement asks users to consent to adverts when they sign up, suggesting brands are coming. And these are just a few examples! No wonder it’s so hard to choose. Once you’ve settled on the best demographic fit, you can then look into audience interests and habits. Consider how and why similar audiences are using different platforms. For instance, Snapchat is largely used for private messaging, whereas TikTok videos are optimized for public viewing. Then, consider the other people on the platform — your fellow content creators. Are other brands gaining any traction? Are they creating content that interests you and your audience? A platform that encourages creator growth, as well as audience growth, will provide fertile ground for coming up with fresh ideas. If you’re looking for more ownership over how you distribute your brand’s content, check out Wistia’s latest feature, Channels. No ads, no competition, just a collection of your videos — displayed in one easy-to-watch format! What story are you trying to tell? A brand that uses Twitch to stream online events will make a different first impression than one that mainly distributes content through Twitter. Every story you tell gets filtered through the lens of the platform. But still, you need a message that resonates. Livestreams: Shows you’re transparent, that you want to create a global community, that you enjoy spontaneous interactions. Series: Shows you’re an expert on a topic, that you want to share knowledge, that you are willing to go deep to explore a question or subject, that you want your content to last for a while (at least in internet-terms). Daily Stories: Shows you want to check in with your audience every day, that you’re not afraid of off-the-cuff production, that you know how to create striking visual content. Video helps you tell your brand story in a visual, human way. The right platform helps you deliver that story in an appealing, engaging package that resonates with how your audience prefers to consume content. Like any marketing initiative, trying out new video platforms should be tied to some measurable goals. Think about what you’re hoping to get out of your brand’s videos and what success looks like. 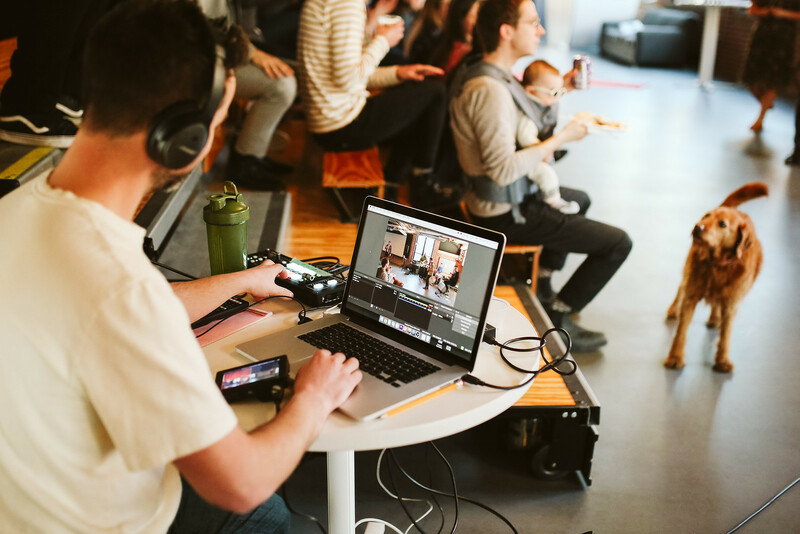 A video can be deemed “successful” on social media and on your Wistia Channel — but that success will probably look a little different for each. For instance, with social networks, you’ll probably want to measure engagement on your content within the platform using their analytics. Things like impressions, view counts, follower and subscriber counts, likes/upvotes/reactions, comments, retweets, and shares are all meaningful within those platforms and will contribute to your brand’s growth in those environments. On your website or Wistia Channel, you’ll want to measure your video’s performance differently. Organic traffic, time spent with your brand, and leads generated are all foolproof metrics to tie your content’s success. For both social platforms and your own site, Time Watched is a winning metric for video. We’re big fans of Time Watched because it shows not just what’s the most eye-catching, enticing thing to click on, or what content persuades people to buy a particular product — instead it shows what people linger over and what makes them meaningfully engage. This gives you more information about what your customers truly care about and how you can connect with them more deeply and sustainably over time. With all of these new video platforms emerging, you have tons of opportunities to interact with and win over prospective customers. And when you share your content on new, niche platforms, you can create highly specific content that’s more targeted. You can also express your brand more clearly without the constraints of traditional distribution platforms, helping you learn more about what’s working and what’s not. This way, both the medium and message go hand-in-hand — without sacrificing your brand. If you’re on the fence about whether or not long-form content is right for your business, take a look at this post and learn the many benefits of this type of content! 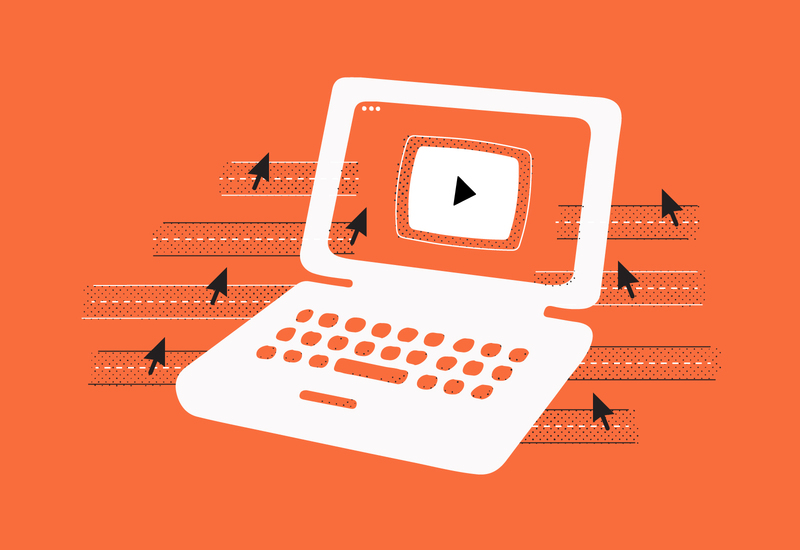 Can Video Drive More Search Traffic to Your Site? Video isn’t a hot new trend anymore; it’s now a major part of marketing for all kinds of businesses. For many successful companies, video is a way of expressing what they care most about. In a way, brand videos don’t support the brand — they create it. They contain visual elements that clue viewers in to what the video is about and why they should watch in the first place. They possess a unique aesthetic that helps give viewers an idea of how they should feel about your content while also making your content instantly recognizable. They are focused on a very specific audience which makes it easier to attract viewers that will hopefully dive deep on a topic. Over time, these traits work together to form a cohesive, creative, and engaging expression of your brand. Now, let’s take a look at each one of these traits and how you can use them to your advantage in your own video content! When it comes to video, first impressions really matter — you’ve got to make a lasting one, and fast. Even if someone is already on your site, you want to give them a reason to click “play” on your video. Just like a catchy blog post title can attract link clicks on social media, a compelling video title can encourage plays. Successful videos often have titles that are descriptive, funny, or thought-provoking. In tandem with that, an enticing thumbnail should work together with the title to catch viewers’ eyes with bright colors, an expressive face, or a combination of the two. All of these factors give the viewer an idea of what they can expect from your video before they hit play. Apart from the distinctly British “humour,” a lot of these titles follow common headline best practices that marketers and journalists have been using for ages. In particular, the use of numbers, “how to,” and direct challenges to the viewer pique curiosity and entice them to find out more. Good design is a shortcut to emotion, and luckily, you can employ a number of traditional design techniques throughout your videos to make an emotional connection with viewers. For brand videos, design elements can be as simple as maintaining a consistent player color or typeface for the title card and credits. Other aesthetic factors could include the framing of the video, the set, lighting, background, and even the clothes people wear on camera. It may sound like a lot to think about, but it’s worth it, we promise! Monet had impressionist landscapes, Van Gogh had portraits in pointillism, and you have the few signature touches you can apply across all of your brand videos. By using consistent visual cues, your audience will recognize your videos right away, no matter where they’re shown. These consistent design elements will tie your videos together and help you create a body of work with a distinct visual style that lasts decades. One business that has been using design to their advantage is Drift, a conversational marketing platform. From their use of colors like royal blue and electric yellow, to the talking-head cutouts present in every thumbnail on their site, to the Drift logo in the frame (and on people’s T-shirts), you can’t miss a Drift video. Drift’s visual style is a bit “loud” but for a good reason. They want people to get excited about marketing, especially in the B2B world, and are using bright colors and unique visuals to attract attention. It doesn’t hurt that they’re able to maintain a similar high-energy aesthetic throughout their videos as well. Use expressive colors that are consistent with your overall brand, and that evoke particular emotions, whether that’s happiness (yellow), anger (red), or trustworthiness (green). This color wheel of emotions can help get your wheels turning — though it’s not the final word! Collaborate on a video style guide that includes fonts, visual treatments, and other guidelines with your design team and use it as a template for your brand videos moving forward. Host regular meetings between writers, producers, and editors to keep everyone on the same page when it comes to scripting and creating videos. As you build your brand, you’ll realize there are a few things you want to be known for, as well as key themes you’ll want to cover in the content you create. Just think about your blog — what topics do you write about there? What are some subjects you could explore even deeper? Chances are, there are quite a few areas related to your industry that you or some of your teammates are already incredibly well-versed on, and that’s a great place to start. 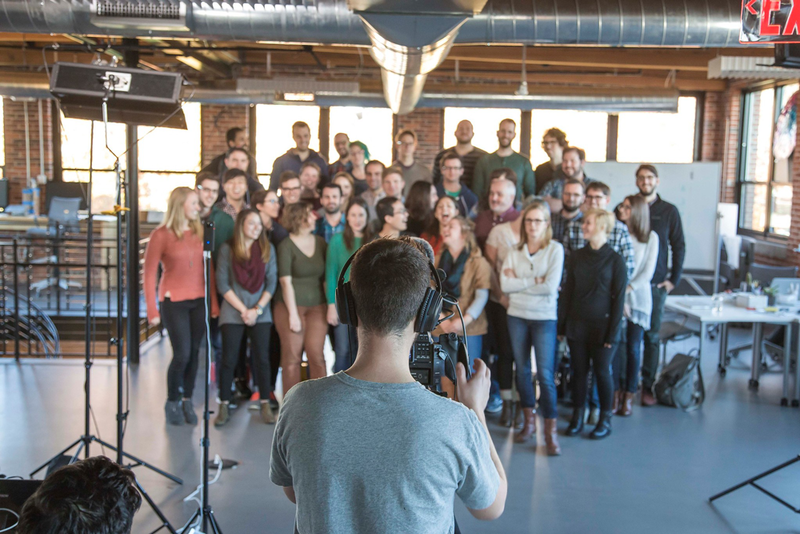 Businesses that are creating successful brand videos use their expertise in conjunction with enticing visuals and a consistent style to attract niche audiences that are interested in consuming a number of videos on a specific topic. Find a topic you can get really nerdy about (or better yet, talk about for hours on end) and use that content to attract your target audience. InVision, a digital product design platform, does this particularly well with their “Design Systems” series. With a handful of videos, this ambitious prototyping software company is able to establish themselves as an authority on all things design systems. This series moves InVision out of the realm of “product people” and into the realm of “design thought leaders.” Because of this series, they have a unique space to bring people together and discuss the important issues and ideas impacting the design community today. Incorporating all of these traits into your brand videos is easy once you have a long-term strategy in place. After all, the best content (and this is true of blogging and social media, too!) is created when you have a goal and mind a specific story to share. Setting your intentions early on will make it easier to execute more and more ambitious brand videos over time, too. If you start with a unique visual style and a niche you know well, you can grow your brand quickly and learn fast from what you put out into the world. You’ll start to see what works best and can actively add those winning traits into future videos you create, making your brand recognizable by your customers and beyond. Once you have more videos under your belt, you’ll be able to dig more deeply into specific themes and take even bigger creative risks. With Wistia’s newest Advanced Plan Feature, you can turn a collection of videos into a show-stopping video experience. This is a question we hear a lot from customers and prospects alike here at Wistia. The short answer? Yes, having videos on your website absolutely can drive more traffic from search. However, the impact will differ for every business, depending on your size and niche. 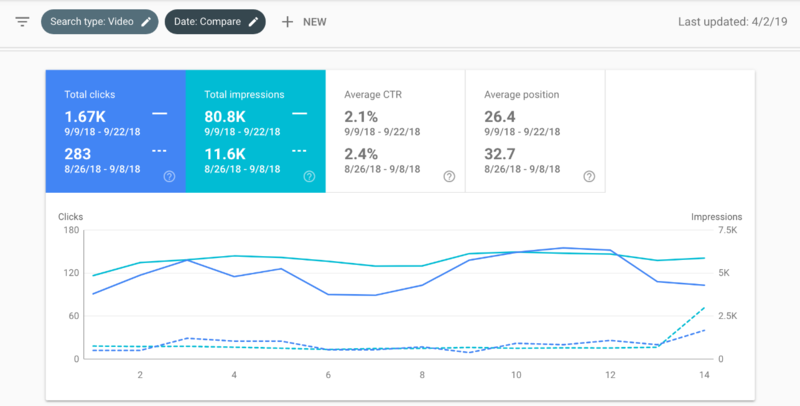 In this post, we cover how you can discover the impact video is having on your SEO, the ways in which videos can drive more search traffic, and what we’ve learned from running tests on our own website. The new Google Search Console is the best source of truth for data on how much traffic videos are bringing to your website from search. This tool helps you measure your site’s search performance, fix crawling issues, and upload sitemaps. Once you’ve got it set up with your site, click into the Performance menu, and then segment the search type by Web, Image, and Video. This view allows you to see how much traffic you’re getting from video search and which queries are driving the most traffic to your videos, and then compare performance over time. You can also see which pages are bringing in video search traffic, and compare those numbers over different periods of time as well. This report is great if you want to get a quick look at which videos are acquiring the most traffic, and the relative difference between impressions and clicks will give you a good indication of whether your title and video thumbnail are appealing to searchers. However, it doesn’t tell the full story of the positive impact video is having on your search performance. Having a video on the page not only helps you get traffic from video-specific search, but it can also increase your relevancy for certain queries, and therefore increase rankings and visibility in universal search, too. Here we see the top ranking result in video search is from Digitaltrends.com. 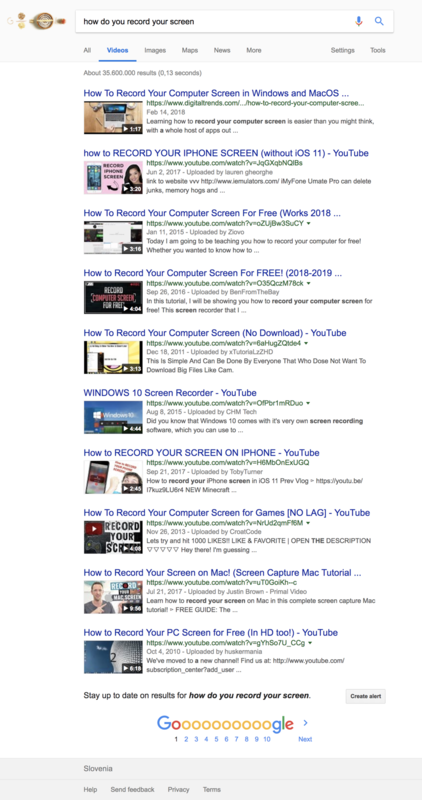 If we look at the universal search results under the “All” tab, we see that the same page is ranking 2nd, after an answer box and a “people also ask” box, but this time, as a straight webpage result, rather than a link with a video snippet. It’s a reasonable assumption here that for queries like this, having a video indexed on this page positively impacts the organic rankings for the universal query, even though the video snippet is not displayed — as the surrounding results are all from stronger domains. This was a significant mistake for a company so reliant on using video in our marketing, for sure, but luckily, we were able to move quickly to rectify the error. This fix then gave us an indication of how much traffic our videos were directly accounting for, by comparing the weeks directly before and after the videos were reindexed. Having our videos indexed accounted for 1,387 direct clicks from video search, but an overall increase of 6,100 clicks from all search. So, for our website in September of last year, having our videos indexed increased organic search traffic by 10.6%. Obviously, your mileage may vary. Wistia.com is mid-sized SaaS website with a lot of videos and a lot of queries which relate explicitly to video. Nevertheless, it’s highly likely that you’ll also see a positive impact on traffic by including indexable video content throughout your website. And, thankfully, the new Google Search Console gives you the means by which to test this for yourself. While video can clearly help drive more traffic to your website — this begs the question, are all videos created equal? Do Wistia videos drive more traffic to than YouTube videos? The answer? Usually, yes. This is because embedded Wistia videos are indexed for pages on your website, whereas embedded YouTube videos are indexed for youtube.com. But (as with everything in search), this is not a universal truth, and some sites will see different results. Check traffic to the same pages via the Web Search Report, too. If there is a marked difference, this is a clear indicator that moving your website videos to Wistia will result in an increase in organic traffic. If you’re interested in learning more about the differences between Wistia Channels, our newest feature, and YouTube Channels, check out this post! We’ve worked hard to ensure that our embed codes automatically optimize the videos on your site for search engines, as they’re designed exclusively to serve companies using video on their websites. YouTube, on the other hand, is a social media platform designed to serve content creators looking to monetize their videos or promote large-scale advertising campaigns. Video can be a really valuable tool for driving more traffic to your website, and often small changes to your embeds, such as including structured data, can make a big difference. 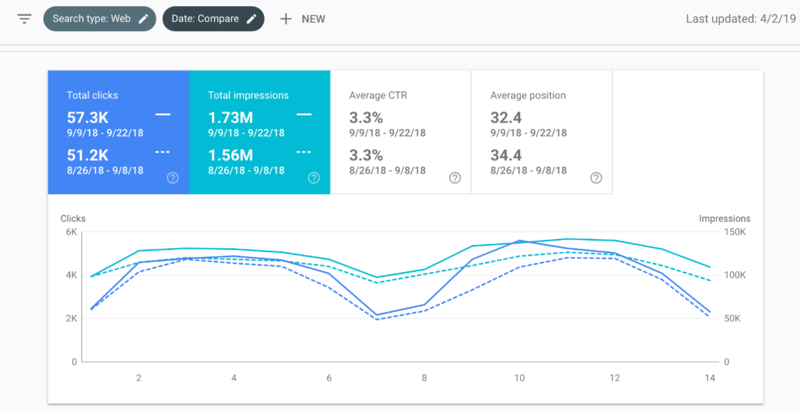 Understanding the true impact of video SEO for your business will require some testing, but thankfully the new Google Search Console makes this process fairly straight forward. Have you seen success with video in your business thus far? Has using video in blog posts or on landing pages improved your organic search performance? Share your questions, successes, and more with us in the comments! Control exactly which videos your viewers see (only yours) and customize the look and feel to match your brand. Your content is ready for its big debut! Binge-watching may not be a new concept, but it’s fast becoming the new normal. Ten years ago, in those dark days before the advent of streaming services, DVD box sets and the occasional TV marathon were the only ways to get your binge-watching fix. These days, though, streaming services like Netflix, Hulu, and Amazon Prime are making binge-watching — watching two or more (sometimes much, much more) episodes of a single series in quick succession — an acceptable and fast-growing practice. According to a 2017 survey from the U.S. Bureau of Labor Statistics, the average American watches 2.7 hours of TV per day or nearly 20 hours each week. Much of that time is spent binge-watching — a 2013 Netflix survey found that among nearly 1,500 surveyed TV streamers, 61% of users binge-watch shows regularly (in this case, binge-watching was defined as watching two to three episodes of a single series in one session). The term “binge-watch” was even Collins English Dictionary’s word of the year in 2015 (alongside, out of curiosity, “dadbod” and “ghosting”). So why is binge-watching so popular if it just leaves us feeling bleary-eyed on the couch? The answer lies in how our brains function while we’re watching and how filmmakers and streaming services are engineered to keep us watching. Viewers seem to agree — the aforementioned Netflix survey found that 76% of respondents said it’s a welcome refuge from the busy world we live in. And for many of us, it’s a much-needed break: a recent opinion poll from the American Psychiatric Association found that nearly 40% of respondents felt more anxious than the year before. It’s that dopamine hit — and the conscious decision to keep that feeling going — that gets people hooked on watching just one more episode as the clock ticks past midnight. Binge-watching can be a great way to relax and de-stress, but it can easily become a problem when you regularly prioritize it over other important activities. Like gambling and other behavioral addictions, binge-watching activates the part of our brain responsible for “reward” functions, producing dopamine and making us feel good. Over time, though, our brains produce less dopamine from the same level of activity as we build up a level of tolerance. It takes more and more of the same activity to give us that same feeling of enjoyment, making binge-watching that much harder to stop. 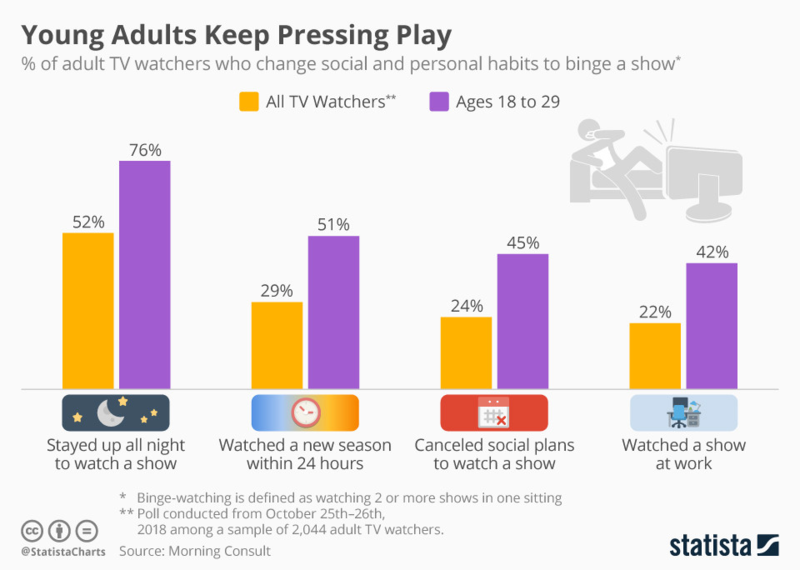 Young viewers are particularly susceptible to changing their habits to support binge-watching. Image courtesy of Statista. When we’re forced to stop watching (usually when we finish the entire series), we quite literally “mourn” the loss — a kind of “post-binge malaise” — as coined by Matthew Schneier in the New York Times. That feeling of emptiness doesn’t do us any good — a 2015 study from the University of Toledo found that binge-watchers reported higher levels of stress, anxiety, and depression. Researchers have noted that binge-watching streaming media is directly related to a reduction in sleep quality — an effect that isn’t seen with traditional TV series when new episodes are only released once each week. Given our preference for binging on new series, you might assume it makes for a better watching experience — but it turns out that’s not the case either. According to a 2017 study from First Monday, binge-watching shows might actually be less memorable and less enjoyable than watching new episodes on a weekly basis. Researchers found that binge-watching shows reduced participants’ ability to remember details from the shows, and binge-watchers also reported lower enjoyment levels from watching the show than those who watched the same series only once a day. Once that stimulation is gone, the only way to bring it back is to watch more episodes, even when it may be detrimental to our health and enjoyment — a fact of which filmmakers and streaming services take full advantage. Streaming services, along with the original content they make available, are engineered to be addictive. Without commercials on most platforms, there are fewer opportunities for viewers to get distracted. Netflix even begins playing the next episode of a series while the credits for the previous episode are still rolling. Cliffhanger endings are there to keep us hooked so that we can’t help but start watching the next episode. Netflix and other streaming services rely on these behaviors to inform their programming decisions and keep subscribers happy. Without the regular interruptions of traditional television, audiences are much more likely to keep watching instead of switching to another service — or even just another activity. In fact, Netflix CEO Reed Hastings famously said that sleep is Netflix’s biggest competitor. At the end of the day, making binge-watching socially acceptable is undoubtedly an important part of sustaining a streaming business model. 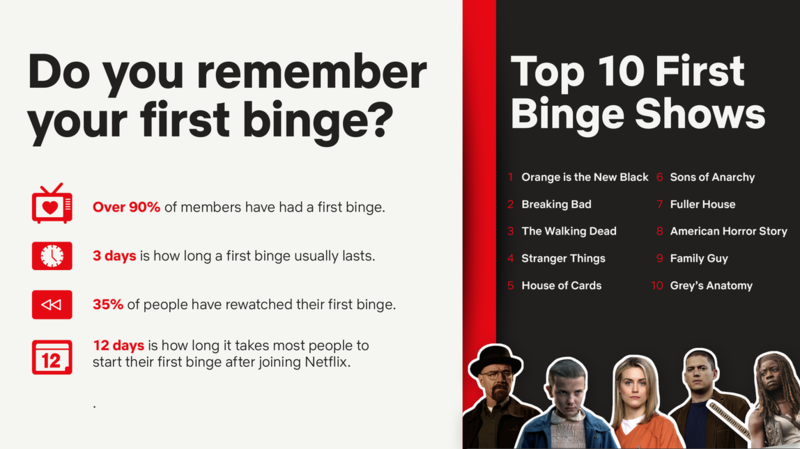 Netflix even openly promotes binge-watching and “binge racing” on their blog, where they state more than 8 million subscribers have binge-raced at least one series. An infographic from Netflix promoting binge-watching. Image courtesy of Time. Love it or hate it, binge-watching isn’t going away any time soon. So, what can we do to make sure binge-watching continues to be a positive experience? Binge-watching is a welcome stress reliever as well as a behavior that’s ingrained within us, so there’s no reason to feel guilty while clicking “I’m Still Watching” for the third time. But it’s important to remember that there’s a fine line between healthy viewing habits and addictive behavior. Commit to only watching a certain number of episodes in advance, then cut yourself off and balance your binge-watching with activities like exercise or spending time with friends. These activities can provide additional sources of enjoyment, making it much less likely you’ll become addicted to watching that next season from start to finish in one go. If you can stick to healthy habits and balance your binge-watching with other activities, then you’ll reap all the enjoyment of binge-watching — without suffering the negative consequences. Our four-part original series tackles the complicated relationship between money and creativity. Ready to dig in?